Last weekend, Steve's sister, Karen, came to visit us. One of the things on our to do list was making a few skirts for her to take home. While we were fabric shopping, I saw this floral print and couldn't walk away. (Isn't it just the prettiest?) So, we made one for Karen and one for me. I know most people are planning out their boot and jacket purchases for fall, but I have several months before it will begin to cool down here and am excited to wear the skirt. Have you made anything good lately? LOVE IT!! 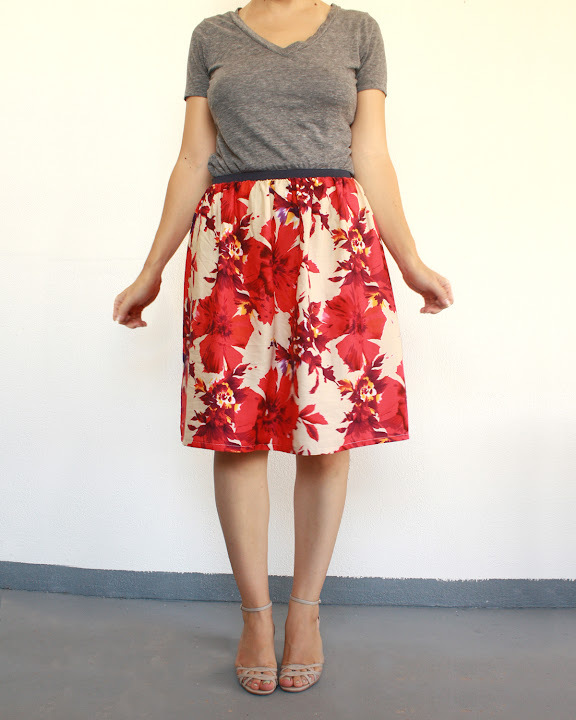 Such a cute skirt and I love the way you paired it! Where did you find the fabric? It's so pretty. I got it at an independent fabric store in San Antonio. Very, very pretty!!! I love the print. I do have a question, though. What kind of fabric do you use for quality pieces, i.e. what type, weight, etc? 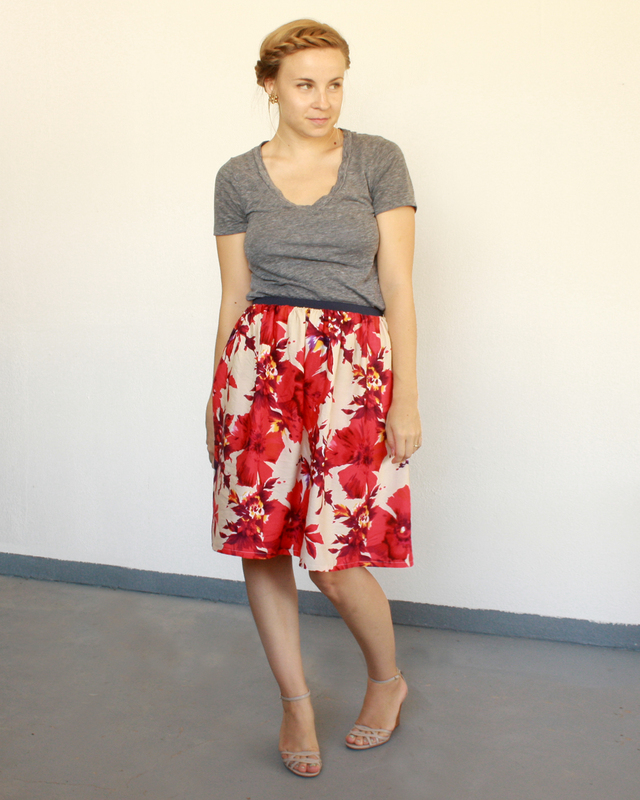 This skirt is a rayon blend, which is pretty but needs to be handwashed. 110% in love with this lady! hair, skirt! everything. What a pretty skirt! Love your hair too. :) I made a dress for my daughter that I loved until I washed it. I still like it, but not as much. I also made her some knit leggings with ruffles at the bottom but I haven't blogged them yet. I hate when the wash ruins new things. Especially things that are hand made. So sad!